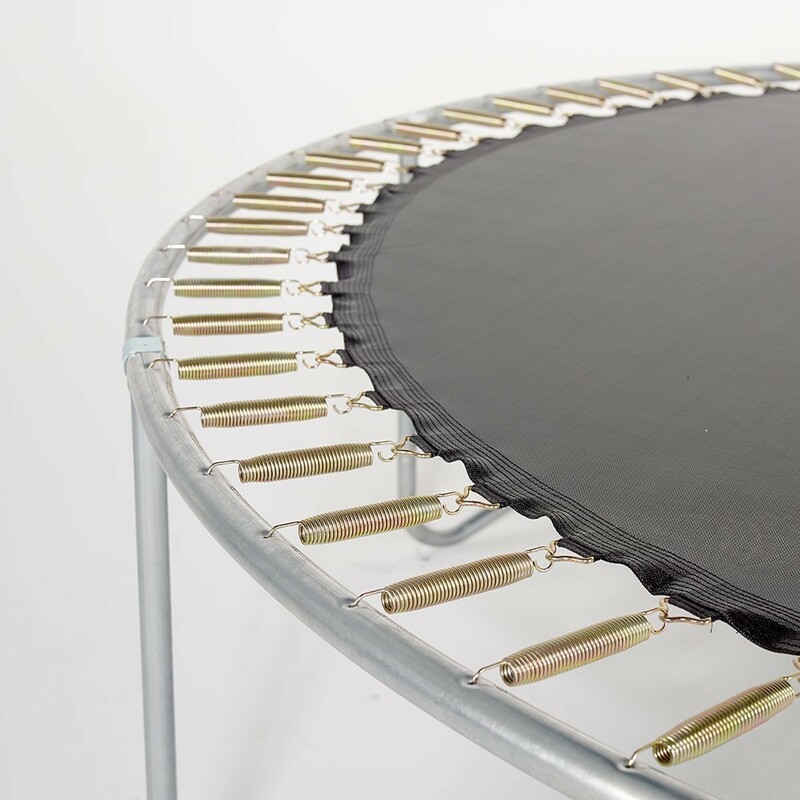 Jumping pad for 3.96 m trampoline with 88 springs of 230 mm. 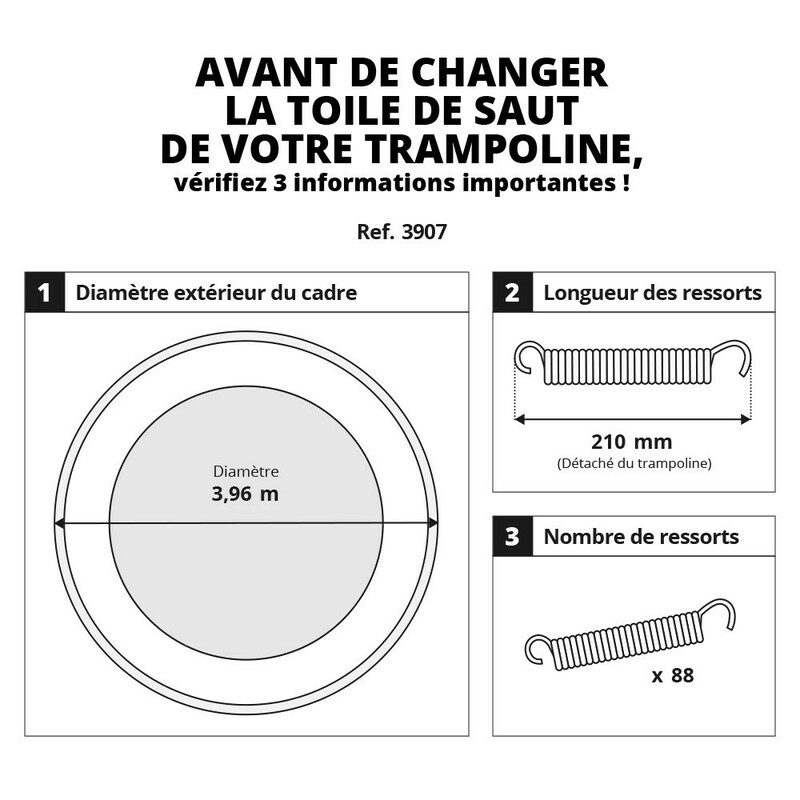 This product will allow you to replace the old damaged jumping mat on your round trampoline of 3.96 m in diameter with 88 springs of 230 mm in length. 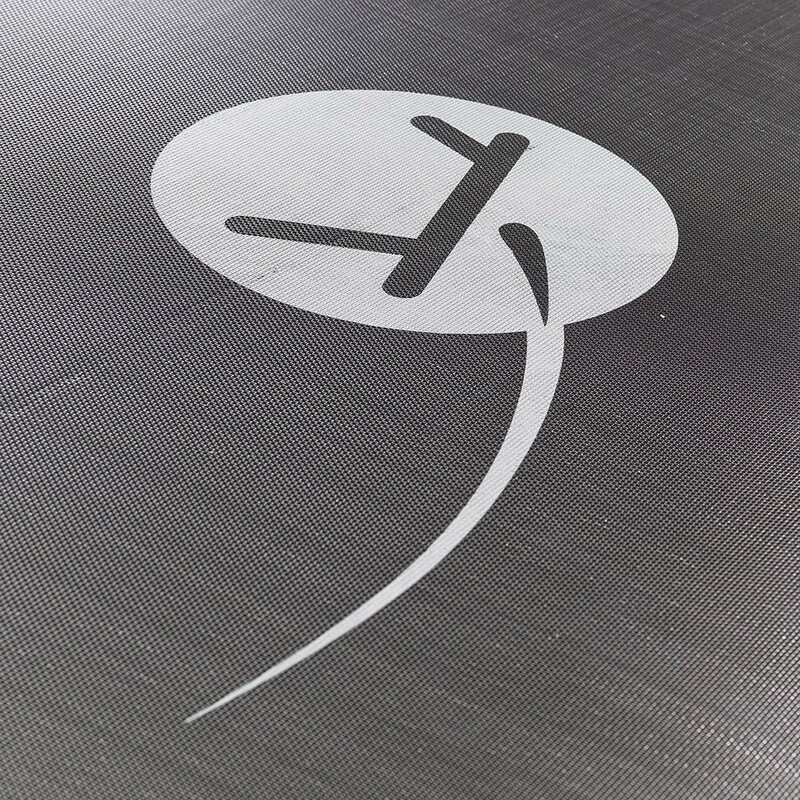 If you did not buy your trampoline with us but your trampoline has the same characteristics, then this solid jumping mat will be perfectly adapted. 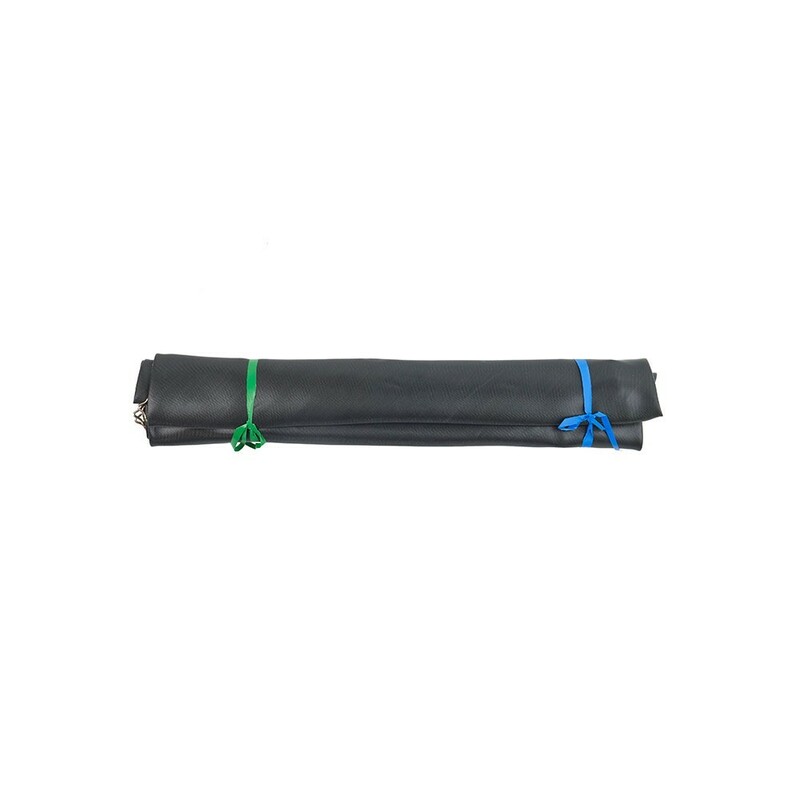 - This spare part is perfectly adapted to our Booster 390 trampoline, as well as any other round trampoline of 3.90 m in diameter with 88 springs of 230 mm in length. 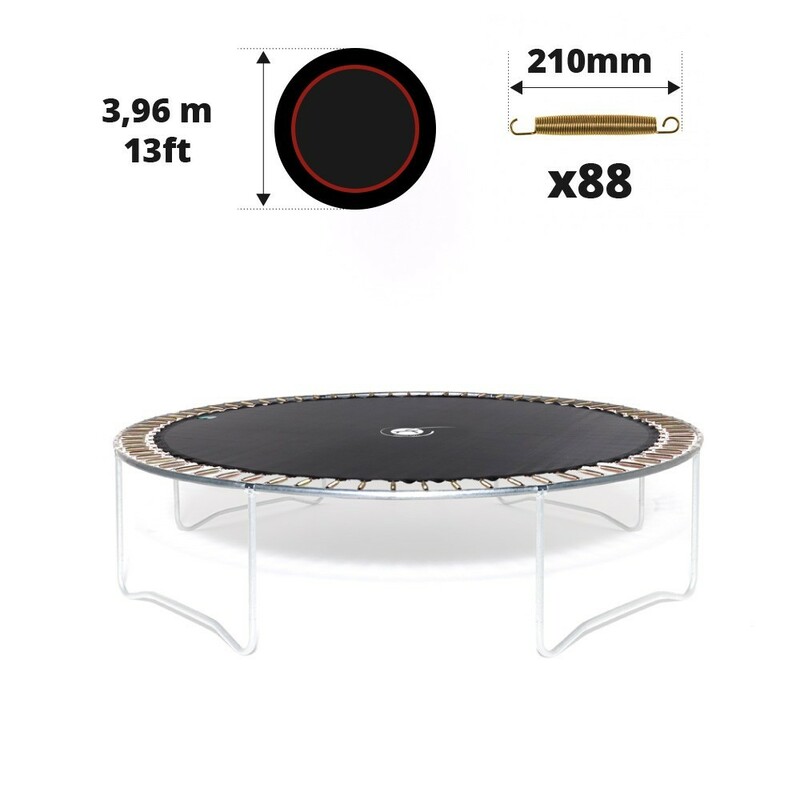 To measure your trampoline precisely, ask someone else to help you measure the exterior diameter. - This jumping mat is incredibly solid. The mesh fabric from which it is made is renowned for its solidity. It has been UV protected so you can leave it outside all year round without decreasing its durability. 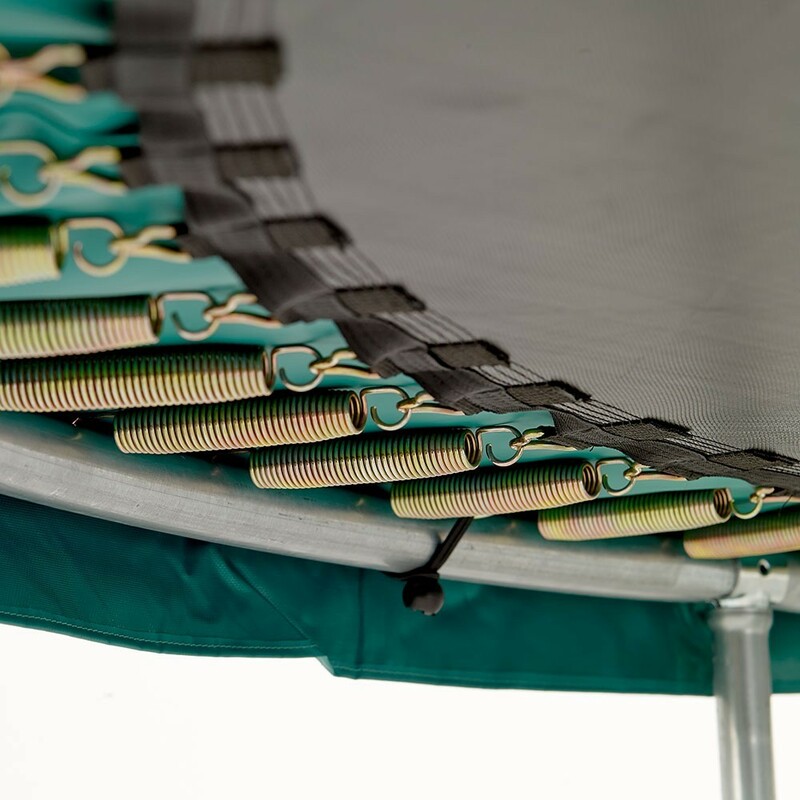 - The straps have been sewn to the jumping pad using 8 rows of stitches and a strengthening strip which reinforces the whole structure. Each strap has a triangular ring fixed to it, in which the springs are placed. These rings have been hot-dip galvanised to prevent them from rusting. 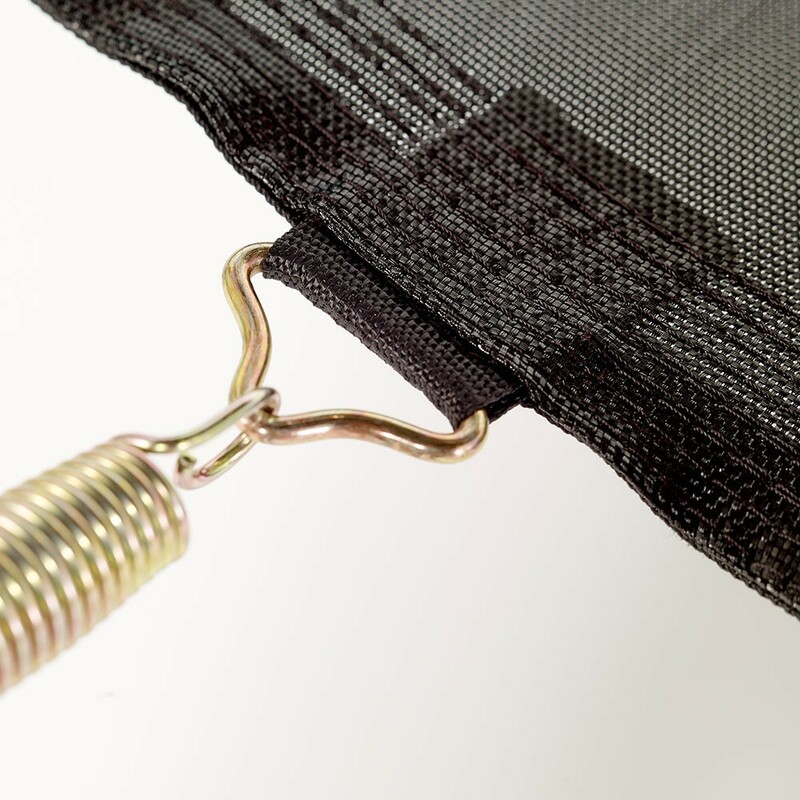 - It is essential that your springs measure 230 mm in length, as this jumping mat is only designed for trampolines of 3.96 m in diameter with 88 springs. 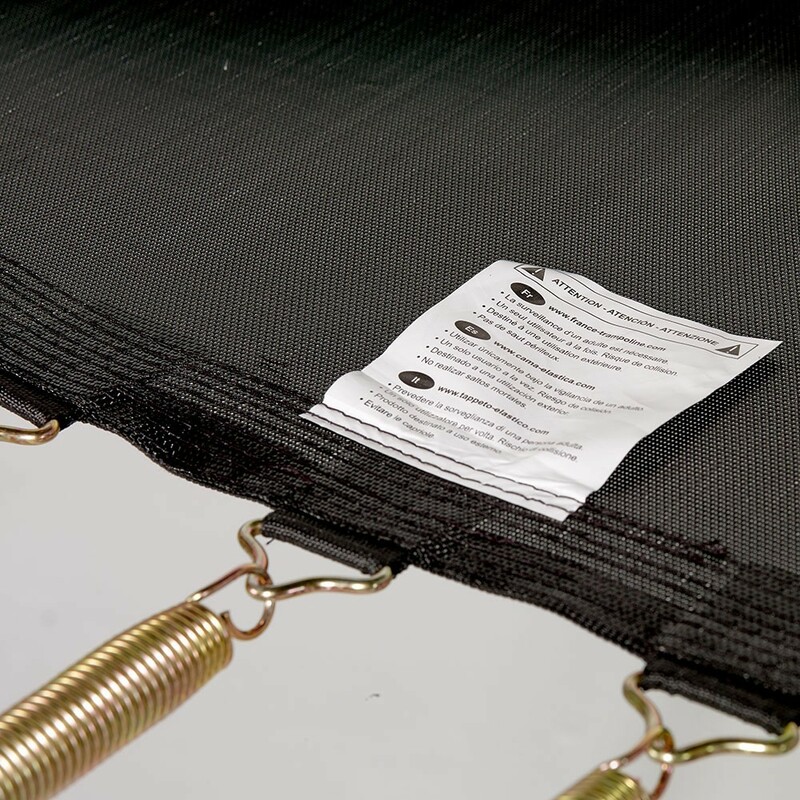 If your trampoline has springs measuring less than 230 mm in length, this jumping mat is not adapted. You should measure the springs from hook to hook.